A definitely-not-awkward evening of delicious drinks, two guest-of-honor coffees and much frank and lively conversation about the future of everyone’s favorite beverage. Straight up: Some changes need to happen, to ensure the future of specialty coffee. You’ve probably heard that before. You probably, you know, basically know all the details, right? During this informal, get-informed evening, we’ll be serving two coffees that have just landed and come from projects that focus on areas of coffee life we think are essential to coffee’s future: young people, gender equality, climate-change response and producer profitability. Using the coffees as a launch point, we hope to answer questions, ask questions and offer facts and talking points that all of us can share when we discuss the intimate links between climate, gender, producer empowerment and the future of this industry we love. In 2015, non-profit coffee foundation Hanns R. Neumann Stiftung (HRNS) brought its framework for change to the region of Chimaltenango, with the goal of providing 1,000 coffee families with tools to improve their quality of life. Embracing the trainings and opportunities offered by HRNS and its partners, the producers, on average, increased their yields by 56 percent and their incomes by 28 percent. Caption: Producer Santiago Culpatan and HRNS agronomist Gaspar Poz. Coffee Kids, a program of HRNS, offers Rural Business Workshops that provide young people from underserved communities with quality training, agronomy and processing best practices, business mentoring and access to financing. 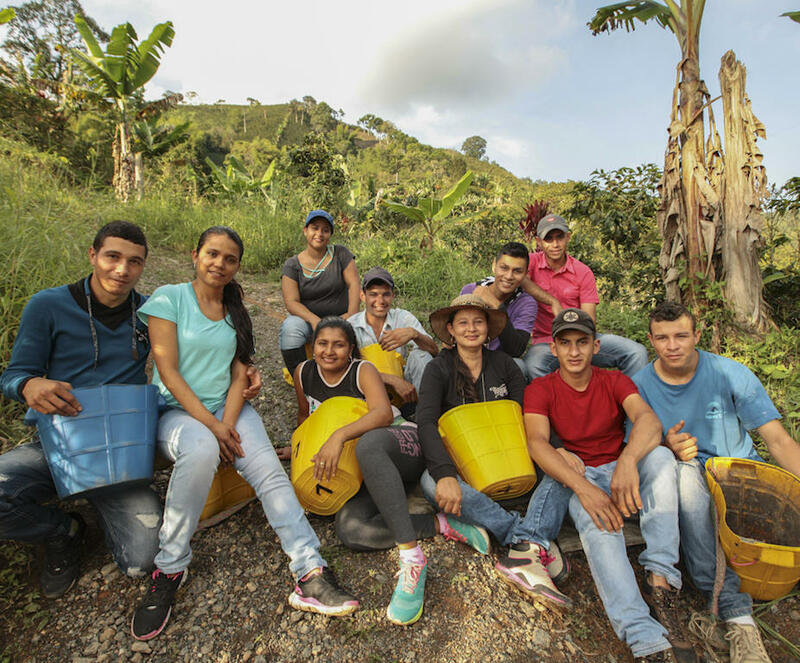 And in Honduras' Ocotepeque region, Uniocafe is a farmers’ association representing more than 1,000 producers and offering, through its Youth Committee, programs that empower young men and women and equip them with tools to adapt to climate change. IAC's Honduras Coffee Kids Uniocafe comes from 33 producers—ages 15 through 39—who are part of the Uniocafe Youth Committee. Caption: Producer Vilma Carrillo and other members of HRNS youth programs. Our thanks to Counter Culture for generously allowing us the use of its beautiful Training Center in Nolita.